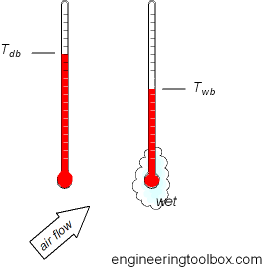 Dry Bulb Temperature - Tdb - can be measured with a simple thermometer as shown above. Wet Bulb Temperature - Twb - can be measured with a standard thermometer with some wet clothing, cotton or similar, around the bulb. Note that continuously air flow around the thermometer is important to evaporate water from the wet clothing and achieve a correct wet bulb temperature. Sufficient air movement can be achieved with a sling thermometer or similar. 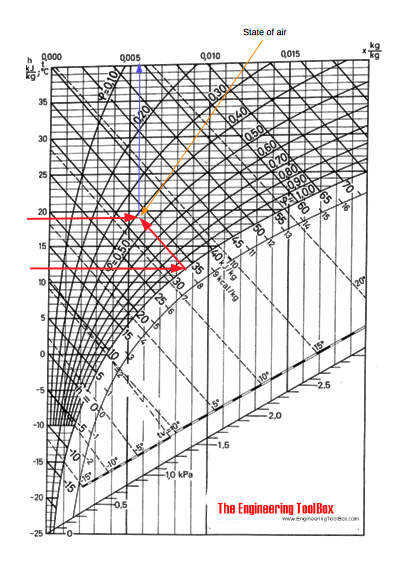 Relative humidity can be estimated from the tables below or alternatively from a psyhrometric or a Mollier diagram. 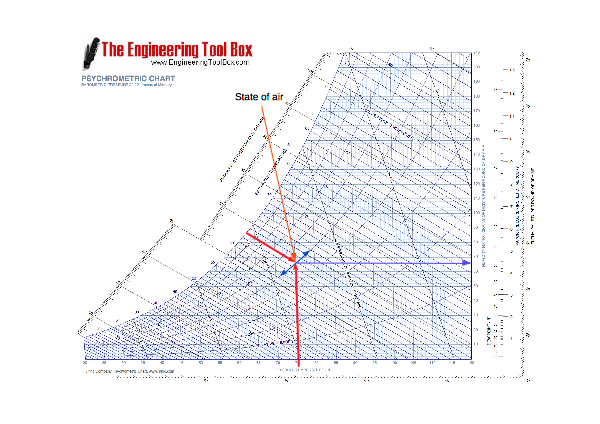 If the dry bulb temperature of air is 19oC and the web bulb temperature is 12oC - then the state of air can be visualized in the Mollier diagram as indicated below. The table below can be used to estimate the relative humidity of air if dry and wet bulb temperatures are known. 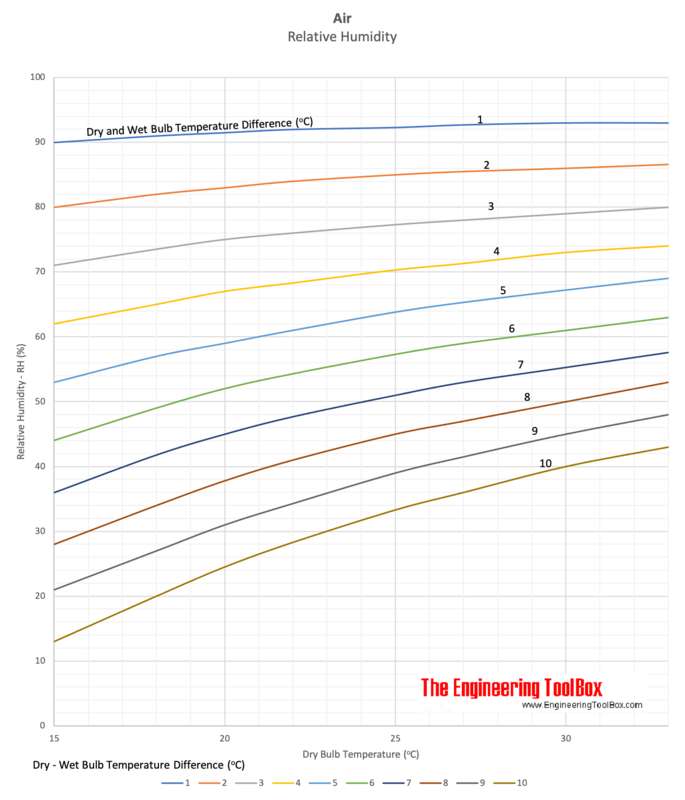 The state of air with dry bulb temperature 75oF and wet bulb temperature 62.5oF can be visualized in the psychrometric chart as indicated below. Psychrometric Terms - Dry and Wet Bulb Temperature, Specific Volume, Relative Humidity, Enthalpy and more ..
Engineering ToolBox, (2003). Air Humidity measured by Dry and Wet Bulb Temperature. [online] Available at: https://www.engineeringtoolbox.com/humidity-measurement-d_561.html [Accessed Day Mo. Year].